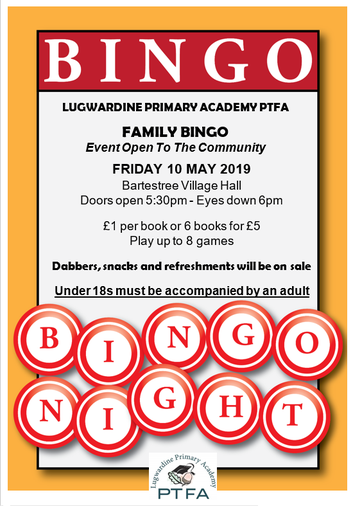 The PTFA will be holding a family bingo event on Friday 10th May 2019 at Bartestree Village Hall. This event is also open to members of the local community. Doors open at 5:30pm. £1 per book or 6 books for £5. Dabbers, snacks and refreshments will be on sale during the event. Children under 18 must be accompanied by an adult.